I’d heard that South Korea was one of the more well developed Asian countries and this, along with the geographical proximity, led me to expect that it would be quite similar to Japan. However, I have found many more resemblances to that other geographically close superpower, China. Small things like ladies dressed in ‘day pyjamas’ and an abundance of street food and other street vendors make it feel a little more foreign than the well-ordered modernity of Japan. 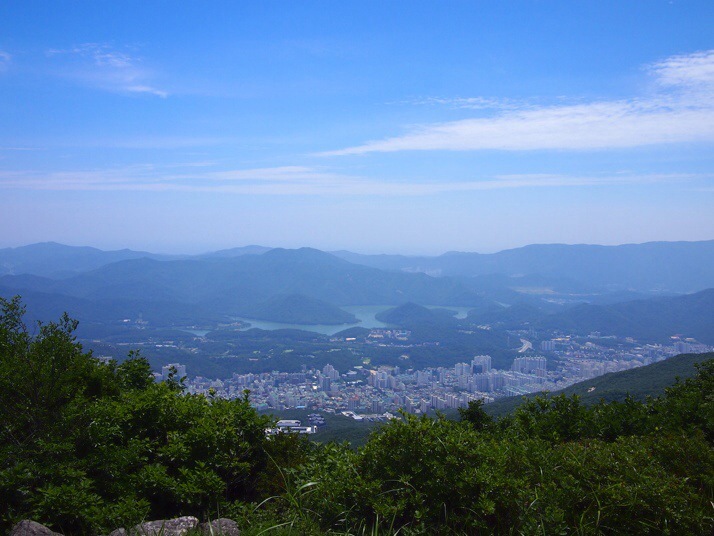 After the capital Seoul, Busan is South Korea’s second largest city with 3.6 million inhabitants. The first thing we noticed on the bus from the airport was all the apartment blocks, estates full of identical towers with their number painted on the side in huge numerals. They fill the suburbs and are unlike any cityscape we’ve seen elsewhere in Asia. It’s safe to say that before arriving in Busan neither of us knew anything about the 1950-53 Korean War, we’d barely even heard of it. 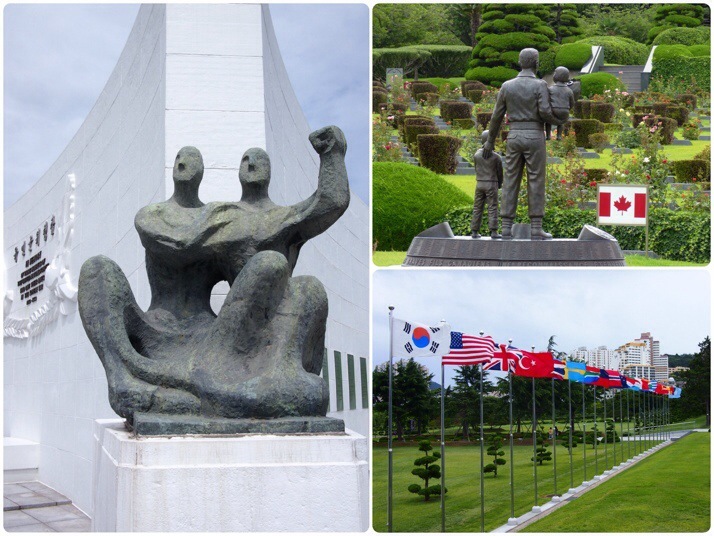 The UNMCK is a reminder of the involvement of the rest of the world in this conflict between North and South Korea following their split at the end of WW2. The United Nations forces led by the US backed the South and China and the Soviet Union fought for the North. 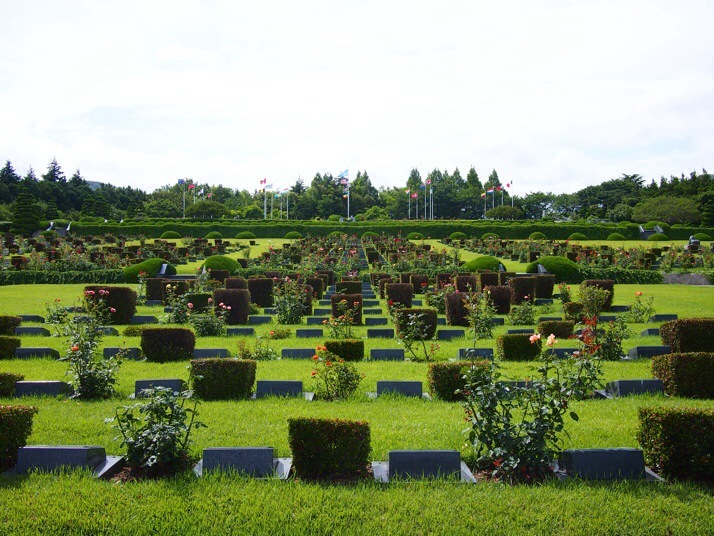 The site is unique as the only United Nations cemetery in the world. The cemetery is the final resting place of 2300 dead soldiers from 11 nations, including 885 from the United Kingdom. We were shocked to discover how many fell under the banner of the UN – a total of 40,895 which doesn’t include almost 140,000 South Koreans. The grounds are beautifully maintained and it’s a peaceful place to wander and reflect away from the bustle of the city. As well as the grave area, there are a couple of small exhibition halls and a number of different memorials around the site including a sobering recently erected ‘Wall of Remembrance’ inscribed with all of the names of the fallen. 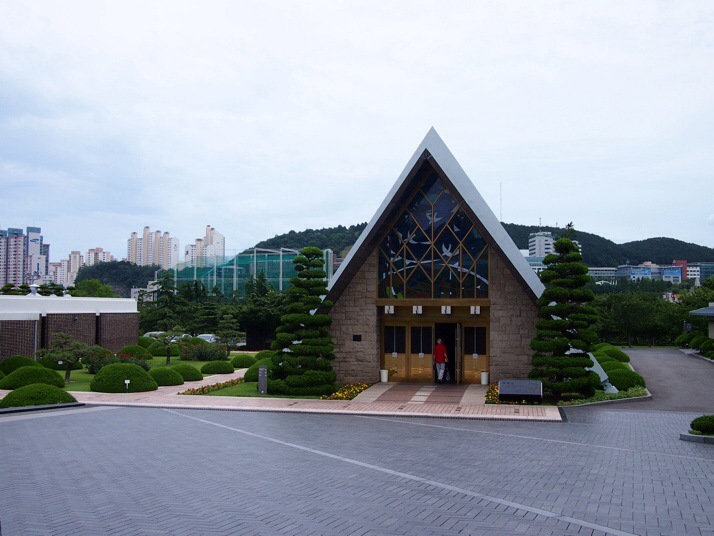 Just up the road from the UNMCK is the Busan Museum. It wasn’t the most gripping museum I’ve ever been to but, coupled with the video at UNMCK, it was a decent primer on Korea’s history with an understandable slant towards Busan. 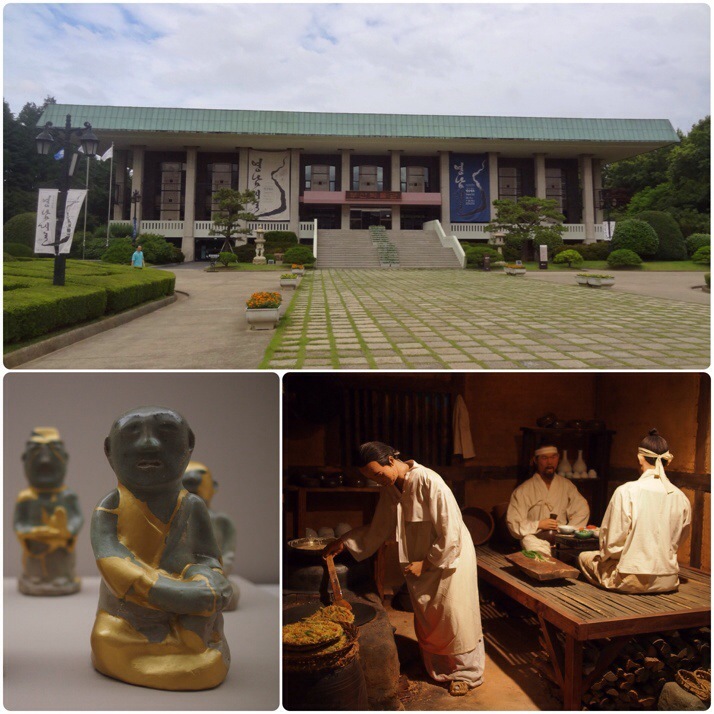 Situated on the peninsula’s south coast the city was the entry point for Japanese invasions as well as envoys in more peaceful times. 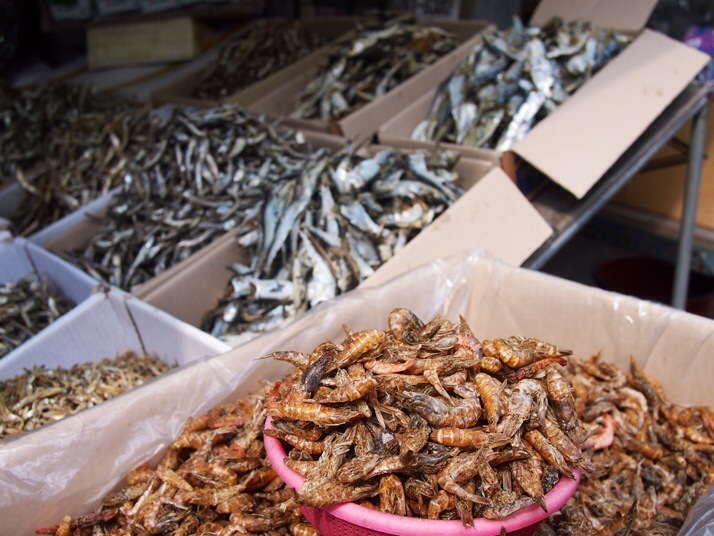 We started with a stroll around the outside stalls before heading into the large, modern market building and were surprised by how much of the produce for sale was still alive and wriggling. 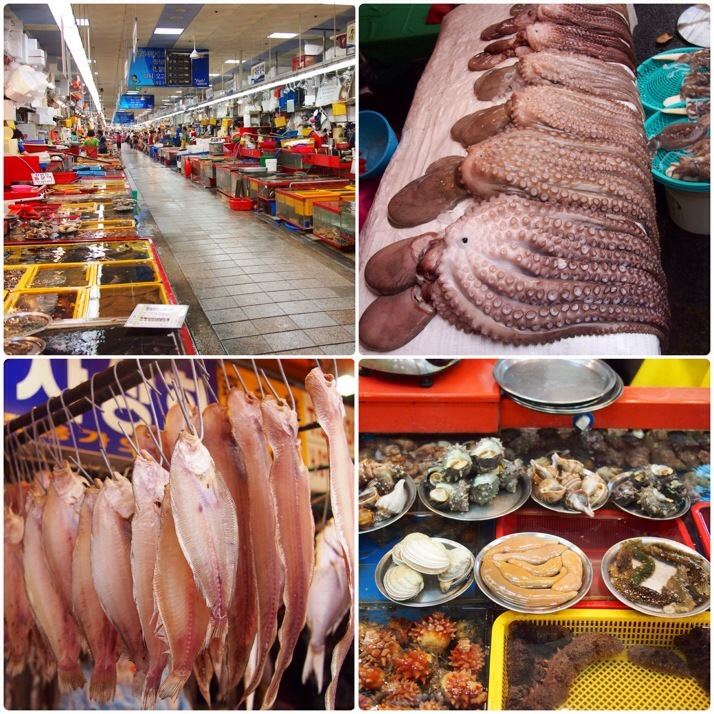 There seemed to be fewer fish and more shellfish and other sea creatures than the markets we saw in Japan. Several times we had to take a closer look to inspect something that we didn’t recognise at all. There were a lot of octopuses. A Korean delicacy is a dish containing octopus so fresh that it’s still writhing – we haven’t yet felt quite brave enough to try it! 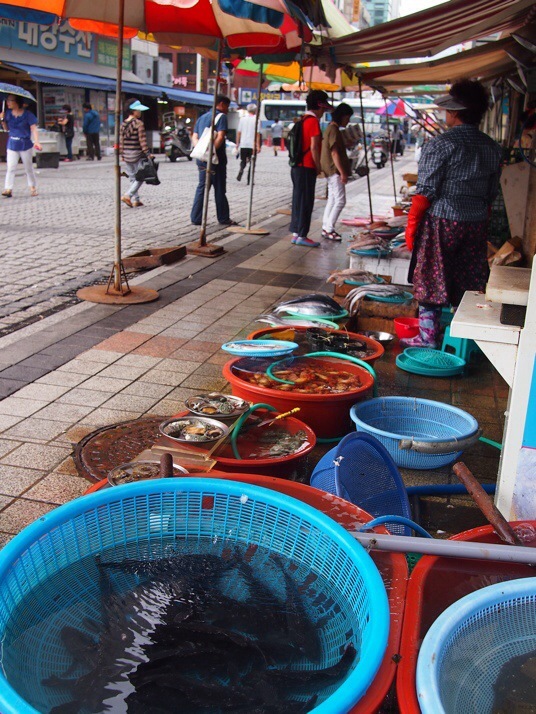 Several times we saw a small octopus making a bid for freedom down the street before the stall-keeper spotted it and threw it back into its bowl! 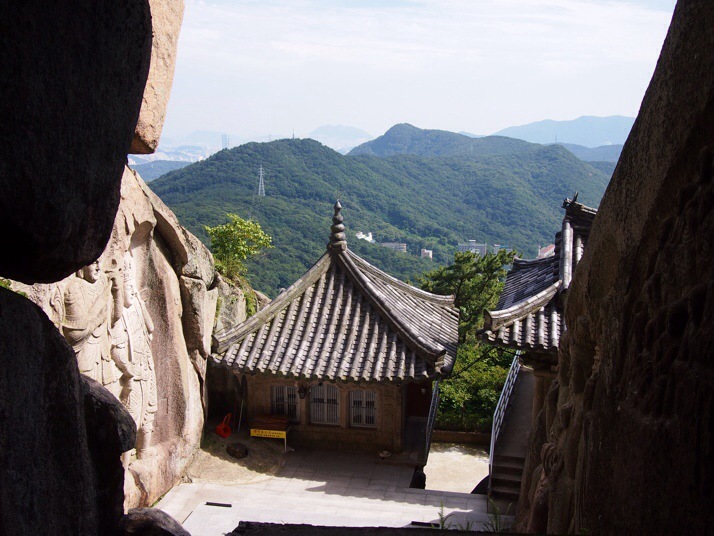 For our final day in Busan we planned a long walk in the surrounding mountains, bookended by visits to a couple of the city’s temples. 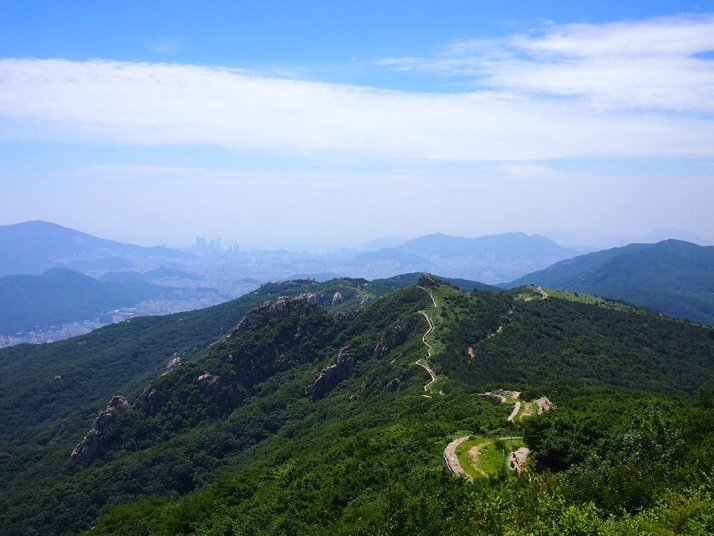 It’s hardly surprising that hiking is a popular pastime for Koreans, the country is covered in (small) forested mountains and Busan city snakes its way around several. It doesn’t take long then to leave the city behind and hit a trail. The weather was kind, after grey clouds and intermittent rain on the preceding days we woke to blue skies and bright sunshine. 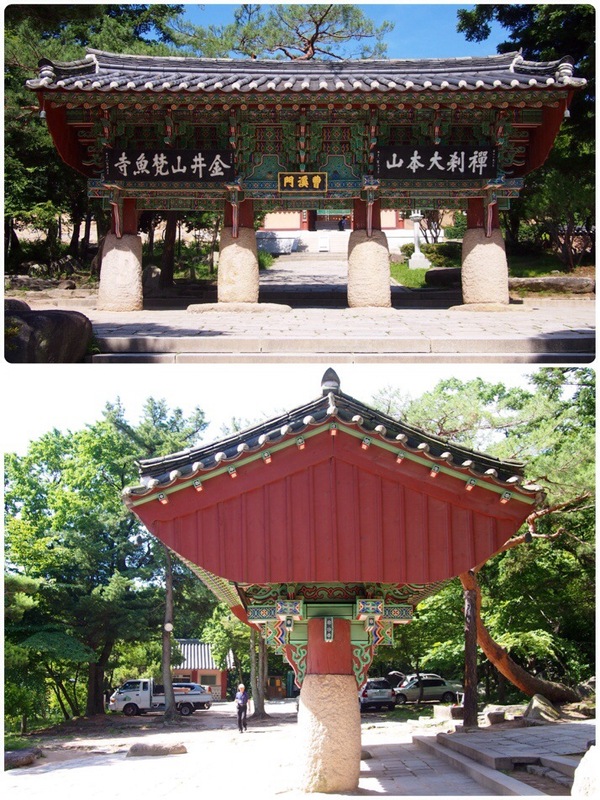 After a subway ride and 20 minutes in the bus we were ejected at Beomeosa Temple, just inside the city but so peaceful that it felt like miles away. As we were reading the information board and lining up photos at the entrance gate we were accosted by a retired man working part-time as a volunteer guide similar to those who gave us tours at Matsumoto and Himeji castles in Japan. There wasn’t any discussion of whether we wanted a guide, he just started his spiel, but as always we found that we got more out of the visit with someone to point out interesting features and answer our many questions. We were surprised by the number of worshippers at Beomeosa Temple. Each hall had a chanting monk and was full of ladies praying. Our guide explained that the different Buddha statues in each hall are prayed to for different reasons, e.g. one to wish for good fortune, one if you are recently bereaved or it is the anniversary of a loved one’s death. 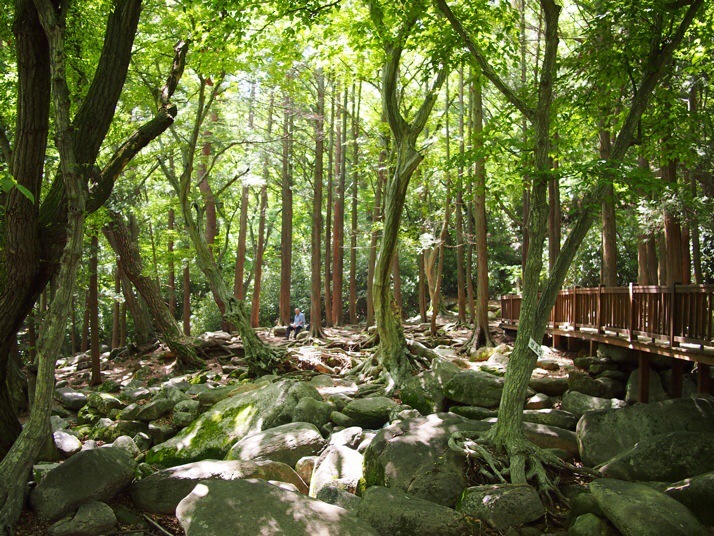 The trail from Beomeosa temple up to the Geumjeong Fortress North Gate (Bukmun) is a steady climb through a valley strewn with boulders, a natural formation called the ‘Sea of Rocks’. It was hard going but we were sheltered a little by the trees and eventually emerged at the fortress wall. The wall extends 18km around the mountaintop and, along with its gates and watchtowers is all that remains of the fortress. 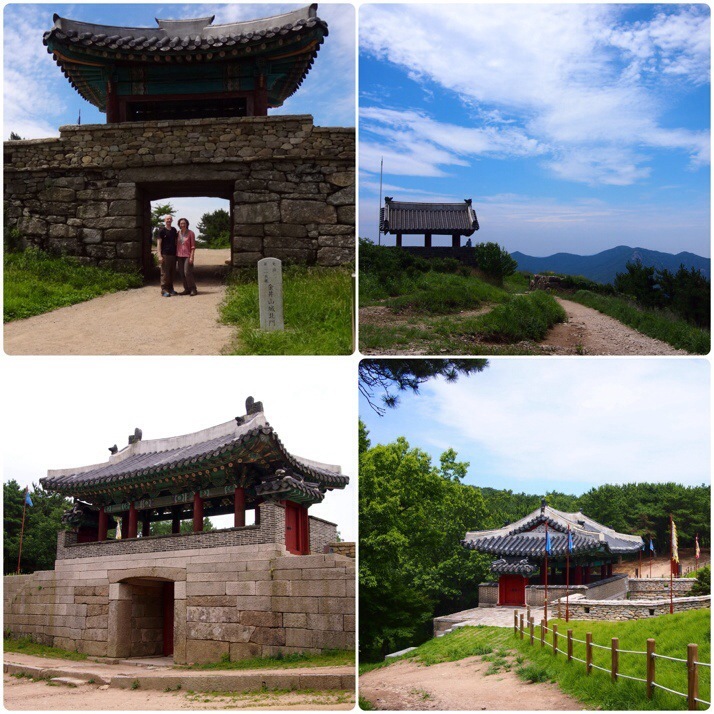 We followed the undulating trail around the wall, stopping for panoramic views over the city and to look inside a couple of the defensive watchtowers. In one of them we found two locals taking a break from their hike with a picnic. They gave us some delicious fresh cherry tomatoes and a cup of makgeolli to try, telling us laughingly that it was ‘Korean Champagne’. It’s a kind of cloudy and fizzy rice wine (about 6-7% alcohol) and quite tasty although we declined a second cup for fear that it would slow down our pace – we still had a lot of ground to cover! 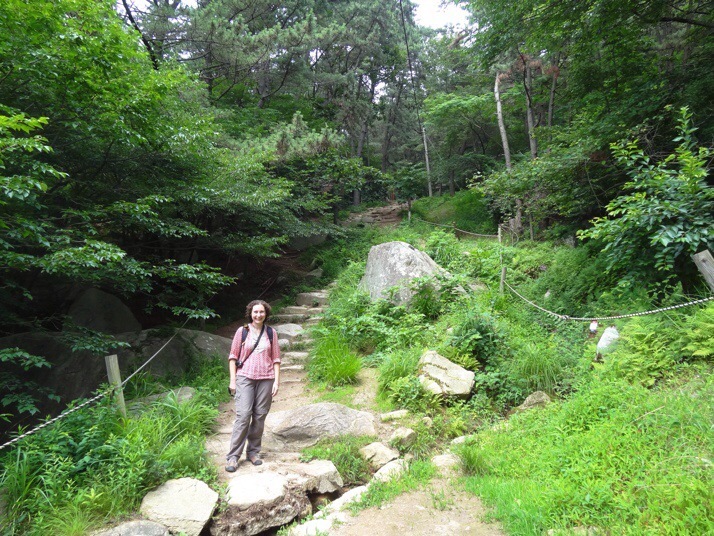 The hike from South Gate to Seokbulsa Temple was described as tough in every reference I found to it. After the allegedly ‘moderate’ path around the fortress wall I was worried about whether I would even make it! But as it turned out it wasn’t too bad, a steep, rocky downhill followed by a winding and unrelenting concrete road uphill but the distances were short compared to what we’d already covered and frankly it almost felt like the easy bit! The temple itself was very quiet with just one other visitor while we were there and no monks in sight. If the buildings weren’t so well maintained we might have suspected that it was abandoned. 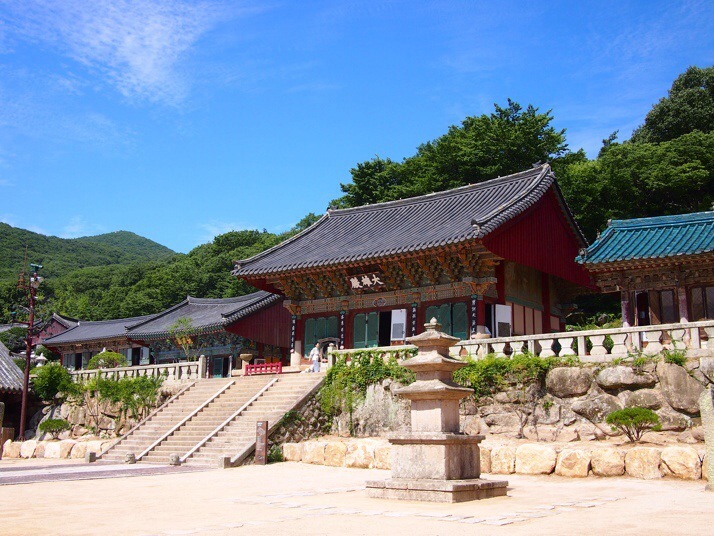 Seokbulsa translates to ‘Stone Buddha Temple’ and this explains the main reason to visit which is tucked behind the temple buildings, a courtyard surrounded on three sides by sheer rock walls carved with 10m high images of Buddhas and guardian gods. 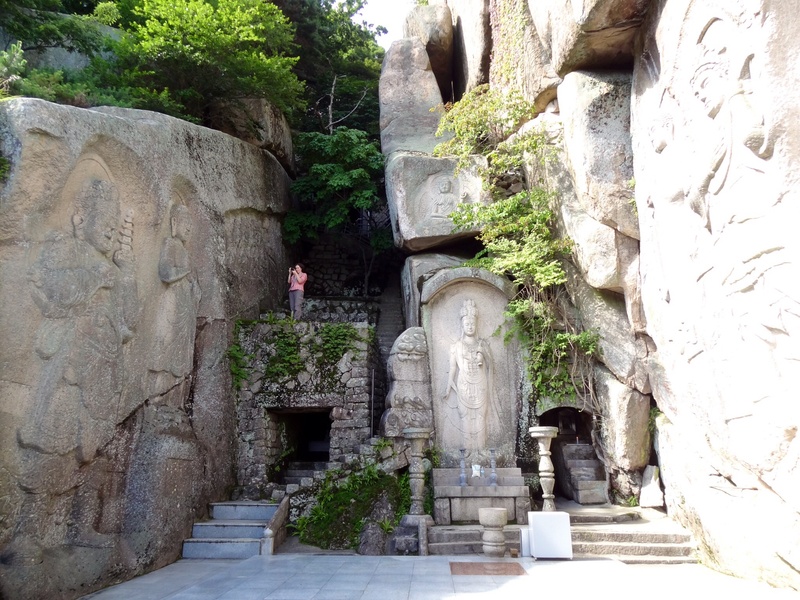 At the back of the courtyard are a couple of small cave temples with damp walls and flickering candles. 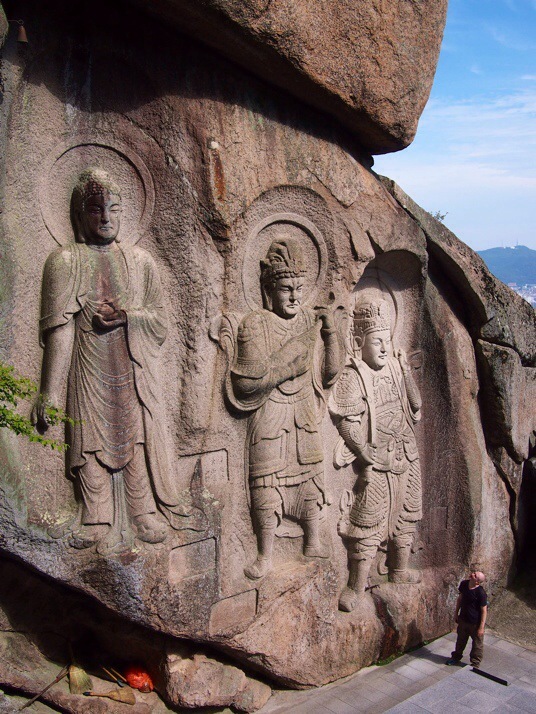 Behind these, climbing the steps to the left leads to even more carvings, this time of a seated Buddha and sixteen disciples as well as a shrine to the mountain god. It was a beautiful and impressive end to a long and tiring day. 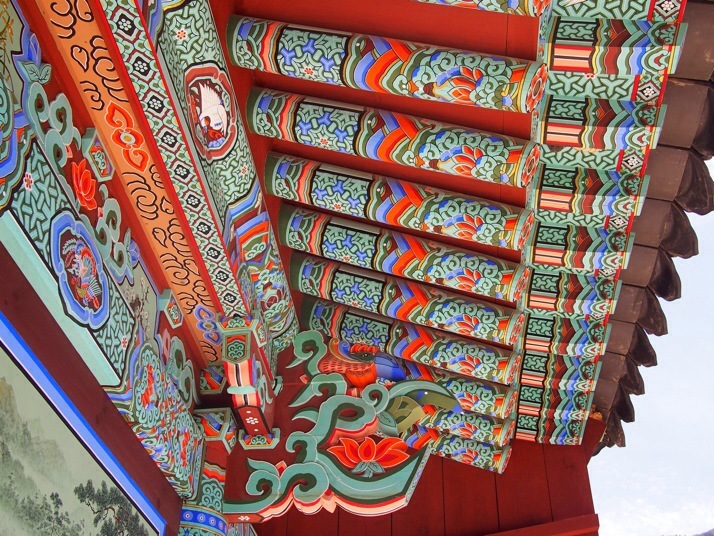 This entry was posted in Places and tagged Busan, Market, Museum, South Korea, temple on July 23, 2014 by Julie. What is 30 + 7 ?